The founders of a new health tech platform believe in the power of physical therapy — but they realize that sometimes patients need a push. SaRA Health has been in development since 2017, but the platform officially launched on Jan. 1 of this year. Since then, SaRA (Simplifying Recovering Assistant) has been accepted into the California-based digital health accelerator NexCubed as well as two pilot programs. Coen, a Kansas City native, met his co-founders, CTO Valeed Malik and COO Ryan Ferguson, through UCLA’s graduate program in engineering. The trio moved SaRA Health to Kansas City after their April 2018 acceptance to the Techstars Kansas City accelerator, as well as their partnership with Bardavon Health Innovations, a health tech firm based in Overland Park that helps companies manage workers’ compensation. The founders’ areas of expertise are a bit scattered: Coen’s background with the manual labor industry includes work on oil fields in southeast Kansas, while Malik got his degree in computer science and Ferguson received his for physical therapy research. However, the trio had one experience in common: months of physical therapy after athletic injuries. SaRA Health primarily targets at-home patient recovery from injury. SaRA’s software simplifies the processes of physical therapy, which have been traditionally paper-based, by connecting providers, patients and employers through its digital interface. 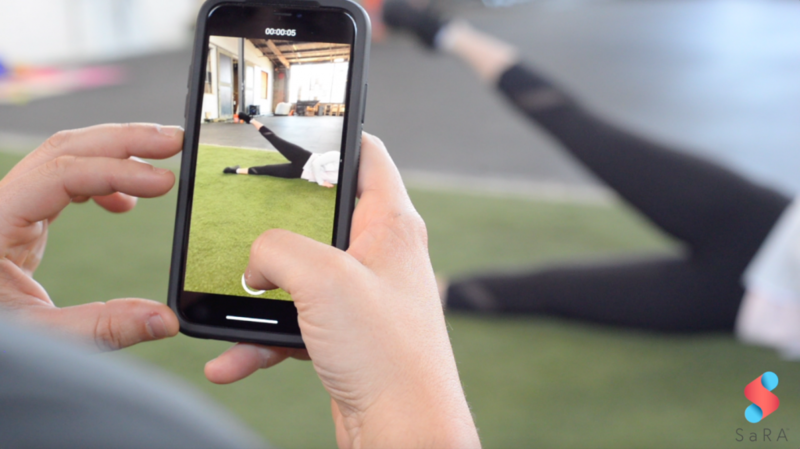 Through SaRA’s mobile app, physical therapists can assign exercises by videoing their patients in the clinic, verbally transcribe instructions and then track patients’ progress remotely. In turn, patients can upload videos of their exercises and record their pain scale and ease of mobility. The mutual check-ins and uploads also keep patients accountable for their home exercises and put them on a faster track to recovery. Coen said 70 percent of physical therapy patients have reported skipping assigned home exercises, but those who adhere to them recover 20 to 25 percent more quickly. “The problem is nonadherence, and that causes longer recovery times, less than optimal recovery, chances of reinjury and a lower quality of life for patient following treatment,” Coen explained. The platform also allows employers to check in with injured employees on workers’ compensation. Coen says 2019 will be “a defining year” for SaRA. The company hopes to sign its first set of clients, and so far dozens of users have helped test the product. SaRA’s clients aren’t limited to physical therapy patients: The software “helps any injury that needs work at home,” so its users have so far included occupational therapists, chiropractors and autistic kids. This expansion outside a physical therapy clientele is part of “a longer-term play,” Coen said. “What we would like to see is helping the PT community prove the impact it has, and to actually see a higher utilization of physical therapy. I really believe what they do works miracles,” Coen said.